BC and Marin met for the third time this season at Beach Chalet fields on Friday evening, June 2nd. With a tied record of 1-1 in their 2017 encounters and playoffs rapidly approaching, the game was destined to be close. Marin came out ready to play and began firing early, relying on big saves by their goalie (who arrived at the game late and slightly bloodied from a motor-scooter accident en route to the evening’s game) to turn defensive stands into offensive looks. Marin jumped out to a quick 4-0 lead over Barbary Coast in the first quarter. BC rallied behind big-time saves from goalie George Valenzuela and the Barbary defense, led by Tom Bendon, Tommy Gibbons, Mik Tareen, and Andrew Klontz to fight their way back into the game. With the Marin midfield clicking, Nick Richards took a beating at the midfield X to keep face-offs contested and up for grabs. Despite BC’s best efforts, Marin again widened the gap to 8-5 in the second half. Never out of the fight, Barbary leaned on strong rides and extra-effort at the midfield to generate offense. Goal contributors included Kevin Nguyen, Colin Short, Skyler Hopkins, Dean Granoff, AJ Von Massenhausen, Kevin Busch, and Max Tcheyan. The last whistle found Marin on top by just a goal. 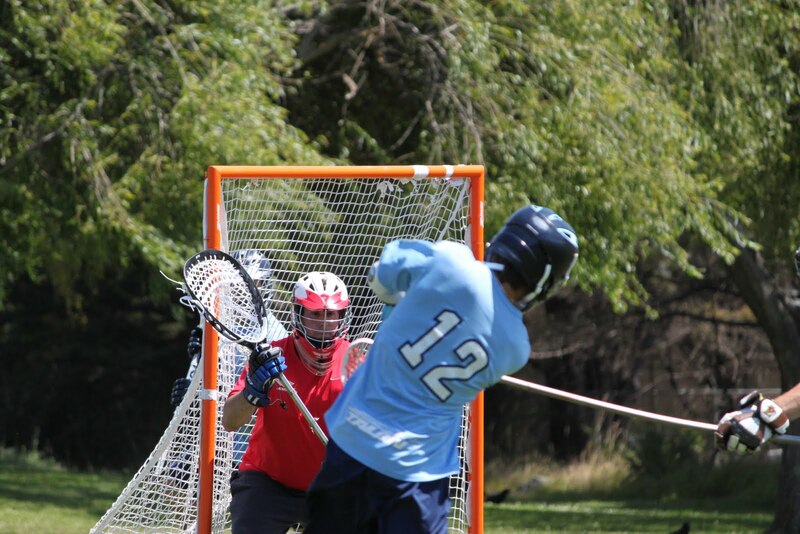 BC and Marin will meet again next week in the first-round of the NCLA semi-finals, game details forthcoming.